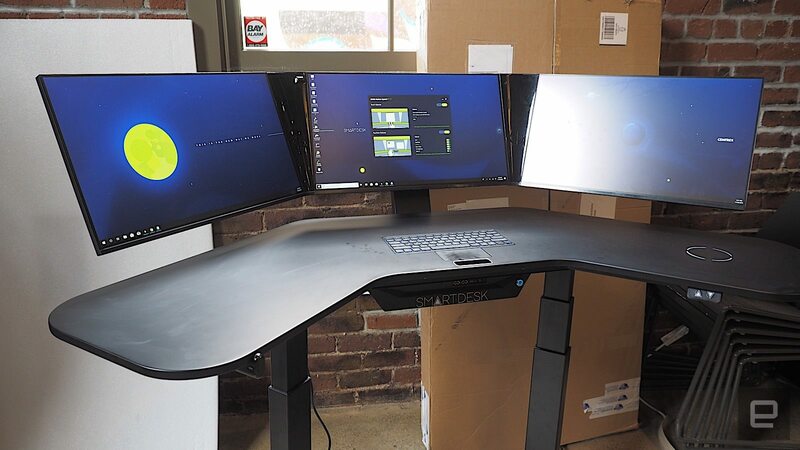 The STARK Gesure Sysytem adds a Leap Motion sensor underneath the surface of the desk, right below the trackpad, which means users can scroll through documents and web pages by simply flicking their fingers. A 5-megapixel 1080p camera located between the center and right monitor make video calls a breeze, while the integrated document scanner is placed between the center and left monitor – just place a document beneath the scanner, and the software quickly recognizes it. You can configure the computer with an eighth-generation Intel Core i7, up to 32GB of DDR4 RAM, a 256GB SSD + 1TB HDD, and either an NVIDIA GTX 1050 TI 4GB card or GTX 1060 TI 6GB graphic card. 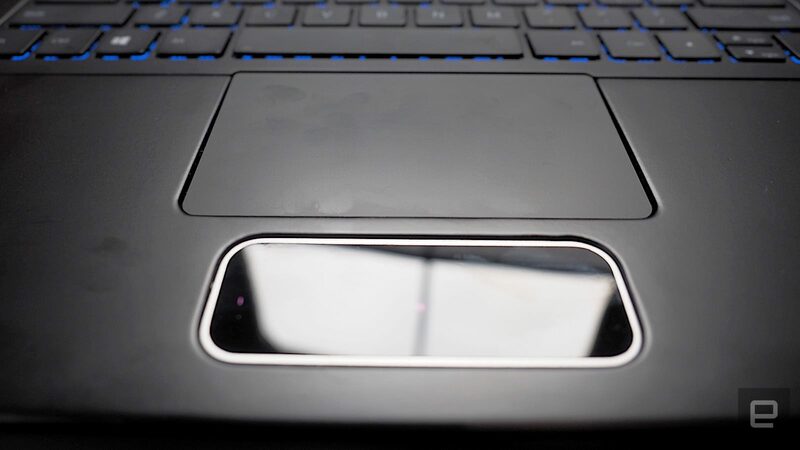 On the connectivity side, there’s a USB 3.1 type C port, two USB 3.1 type-A, two USB 2, a 3.5mm audio jack and an Ethernet port. One caveat: pricing starts at $4,499. 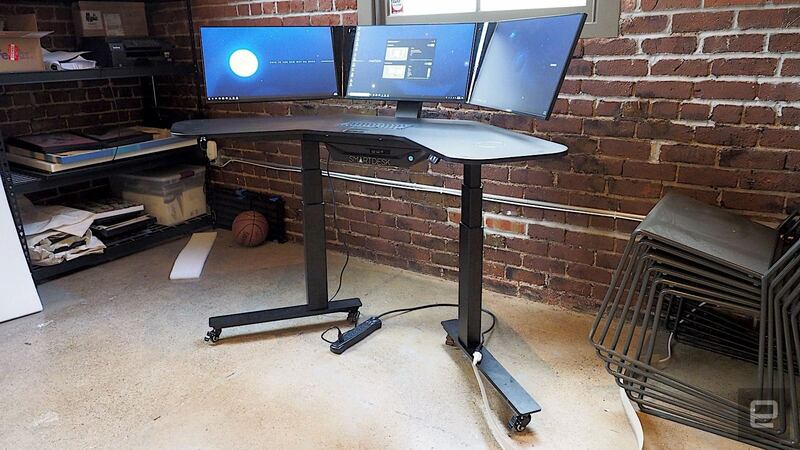 “The SmartDesk also functions as a sit/stand desk. I initially thought the PC would hit up against my knees when sitting, but the hardware was sufficiently tucked in that it didn’t happen, even with my legs crossed. 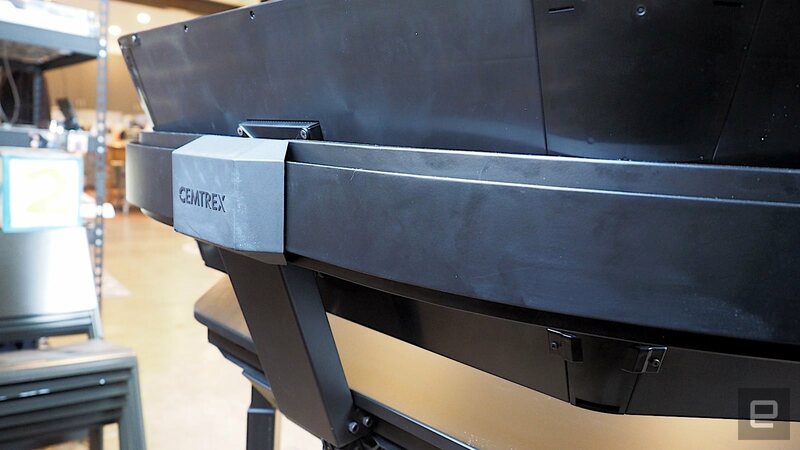 If you haven’t heard of Cemtrex before, that’s likely because it’s mostly known in industrial manufacturing circles. 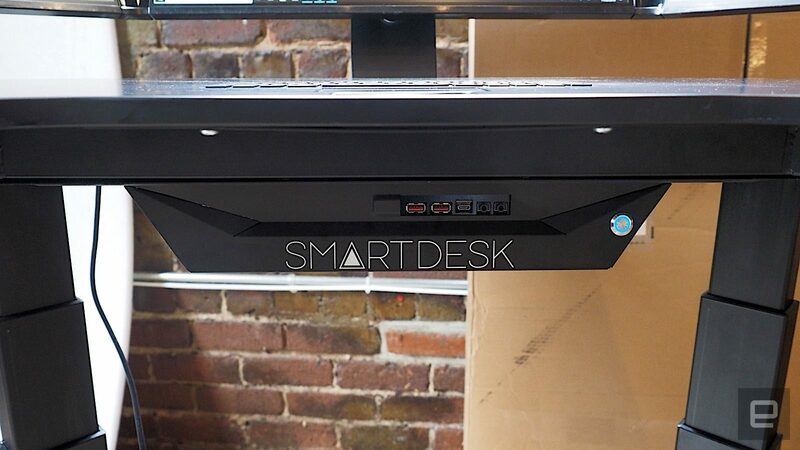 The SmartDesk is the company’s first consumer product,” reports Engadget.